When you want to buy a home, you know that good credit will be necessary. You may have heard some things about your credit score that just aren’t true. Read on to set the record straight on some of the most significant misconceptions about credit. Checking your credit score or report will not lower your score. The only way checking a score is damaging to a credit score is in the form of credit inquiries. This is when a lender, employer, or other merchant checks your credit in order for you to either gain employment or open a new line of credit. You have the right to review your score without it being impacted. The best way to keep a high credit score is to use a credit card and pay the balance off in full each month. It’s a false belief that carrying a balance is an excellent way to increase your credit score. You need a low debt level to maintain a good credit score. It’s natural that older people who have a longer credit history have a better shot a good credit score, but your age has nothing to do with your score. It all depends on when you established credit. Some people started their credit histories early because their parents opened accounts for them. Others needed to wait awhile before opening their first credit card account. Your income also is not a factor in determining your credit score. It may be true that if you have a higher income, it’s easier to stay out of debt, but the amount of money you make has no direct impact on your score. You have a legal right to obtain a free copy of your credit report once a year but, your credit score isn&apos;t included in this report. There are free services that are outside of your credit report that will give you your credit rating, but you need to search for them. It’s a good idea to check your credit report periodically, but you should also know your score especially if you&apos;re getting ready to make a big purchase such as buying a home. Your credit history gives a picture to the world to let them know if you’re financially stressed. If you have gone through rough patches, there are always ways to bring your score up. If you had a judgment ruled against you in a lawsuit, for example, that would only appear on your credit report for a certain number of years. 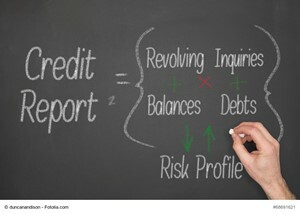 Lenders will often allow you to explain bumps in your credit report as well. Understanding credit is half the battle to a good score! Florida Executive Realty delivers a true one-stop-shopping opportunity for homebuyers and sellers. These services include the professional coordination of the home search, property marketing, negotiation of purchase or sale, and details of closing. With a commitment to providing each customer with a full service real estate experience, I will work with you throughout the entire home search and negotiation process, and assist in finalizing the details. My Services and Areas of Expertise Include: I have been a property owner in South Tampa for more than 20 years. In addition to the family home I have a number of rental properties and am experienced in working with investors to determine which properties would make ideal rentals. For many years as a military spouse, I moved across the country and the ocean. This has provided me with the insight to assist persons moving from near and far, whether they are military or civillian. 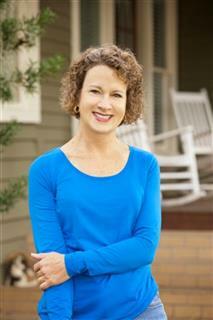 I am a trained real estate professional with expert skills at marketing, presentation, negotiation and sales. I will work with you to ensure that your property is sold for the highest price possible in the shortest amount of time with the least amount of inconvenience to you.